The world is changing. Businesses are more demanding, fee models are evolving, and new technologies are emerging. The pressure is on for law firms and legal businesses to operate more efficiently and effectively. The Legal Innovation & Tech Fest creates a space where people can learn and explore the technology, ideas and innovations that are literally transforming the way we live and work. These topics have led to the evolution of this event’s unique program. 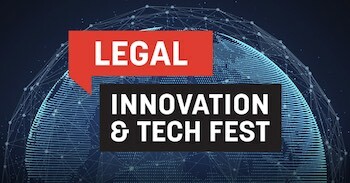 Warren Hero from Webber Wentzel, Jorden Lam from HESTA (AUS), Jackie Nagtegaal from LAW FOR ALL and Kevin Oliver from Allen & Overy LLP (UK) are just a few of the thought-leaders that will be speaking at this year’s Legal Innovation & Tech Fest. You can check out the full conference agenda here.